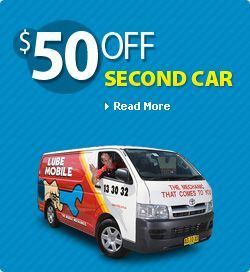 Lubemobile is the mobile mechanical fleet attending to all vehicle types right around Australia. You can keep on top of your service history, have your tyres replaced, checked or rotated on site, and have your car repaired wherever you need us to be. Have your car serviced in Coorparoo without even having to leave your house. We attend everywhere you are including Ferny Hills, Brisbane and Aspley. Stop trying to find a time to book into the local mechanic and get the mechanic that comes to you. Over 2,213 vehicles have been attended to vehicles in your area over the last quarter by mechanics who have carried out all types of work on all types of makes and models. We are fully equipped to service and repair your car completing work like air flow meter testing and ball joint replacement entirely on site at the location and time our clients prefer. I am very happy with your service and when funds are available will get further work done. We service and repair all vehicles including Alfa Romeo and Peugeot. Your mechanic arrives within your specified time window and carries out everything on the spot. 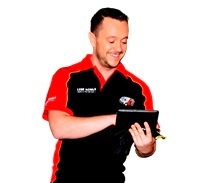 We do not make unauthorised repairs and you’re kept in the loop with what your vehicle needs and why. In recent months we have received over 45 positive reviews from our happy in the Brisbane Metro. Book a mobile service or repair today for wherever is the most convenient location and time for you, and have one of our 38 in Brisbane Metro attend to your vechicle today. Our mechanics have typically serviced Toyota, Holden and Ford in and around your area but all mechanics are experienced and prepared for any vehicle. Servicing and repairing all vehicle makes and models on site, recent jobs in and around your local region have been to attend vehicles like Saab, Seat and Kia. Parts required for the job are with the mechanic or sourced quickly from only the highest quality providers. Typical parts carried by the mechanic have included spares like engine management system, headlights and ignition fuse.